FT Mini PowerPods - In Quantity? I must have made and gifted away, (as well as flown and crashed myself), what seems to me to be a large number of FT Mighty Minis. Each one used a mini PowerPod and often required a number of replacements before the planes themselves were retired or destroyed entirely. At times I needed to make a dozen or more in a single session. As you might imagine doing many individual PowerPods by most of the scratch build methods on the forum would take a fairly long time. I needed to do them faster! Recently I made mention of making PowerPods quicker than one at a time and @buzzbomb suggested I do it as a separate thread, as did @mayan , and so here it is! From my own measurements the sides of the powerpods were 21mm high and the base piece was 31mm wide. 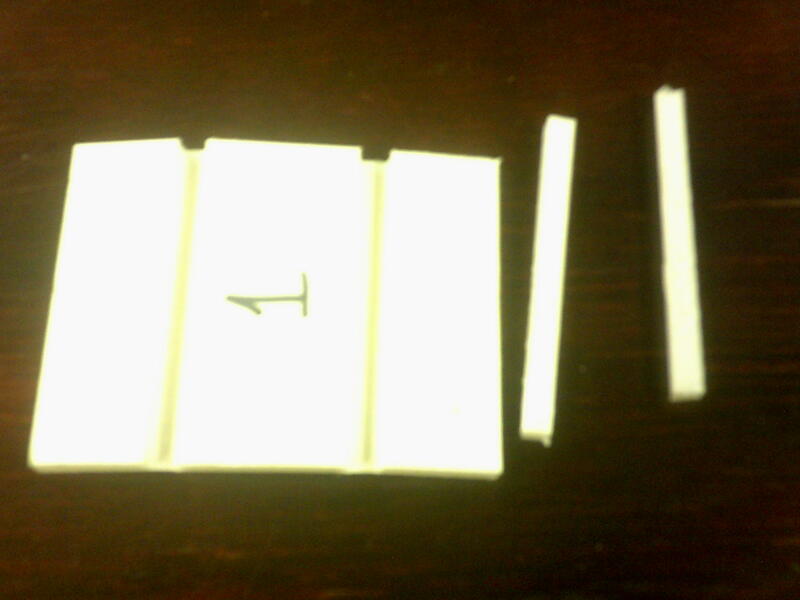 Between the sides and the bottom piece there are two 5mm channels for the appropriate fold, (A or B). This meant that the FB used for the Mini Powerpod from my measurements was 83mm. (Do your own checks and measurements to ensure that your Powerpods are the exact size you require). The long side of the powerpod is 64mm and the short side is 62mm. The base piece is tapered between the long and short side pieces at the motor end. The tools I use. 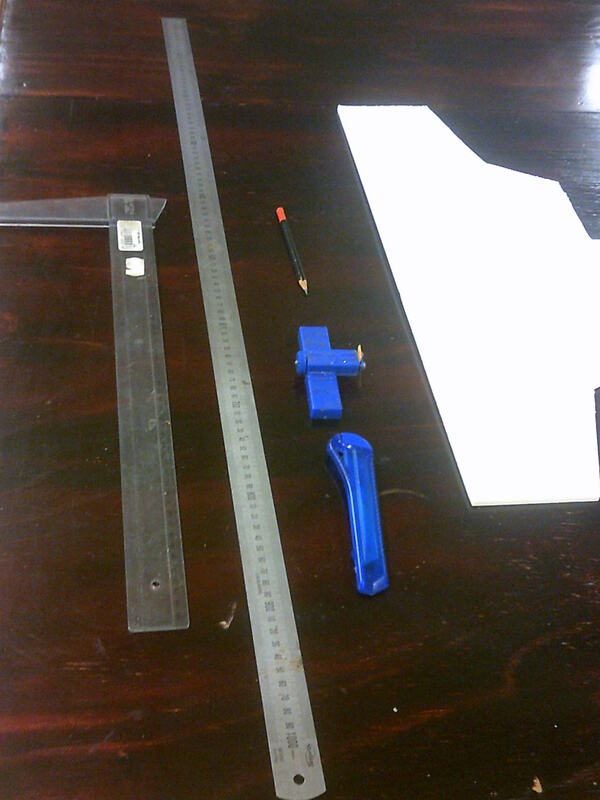 Ruler, Pencil, "T" Square, Sharp Knife, Balsa Stripper. My procedure is to grab the FB and using a straight edge or after cutting a straight edge using a ruler and knife, I measure out and mark a parallel line 83mm from the straight edge. 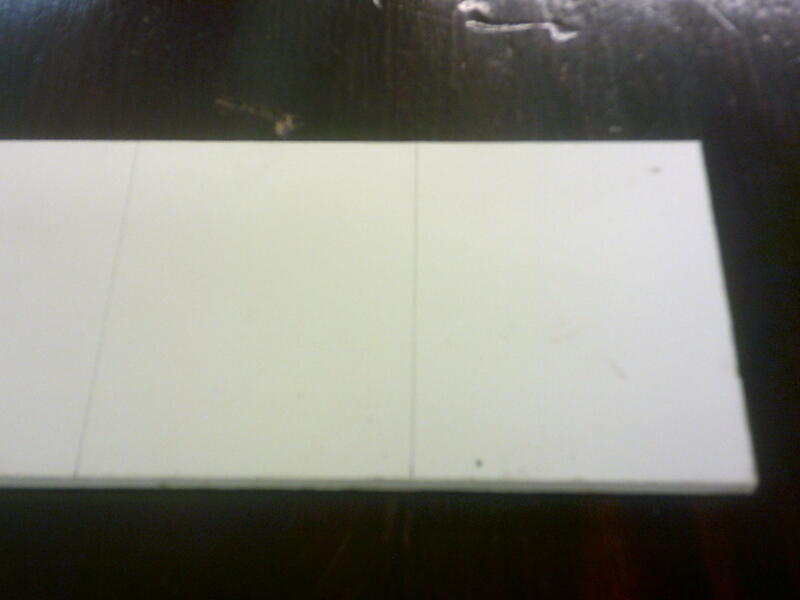 I cut along this line so I end up with a strip of FB that is 83mm wide. 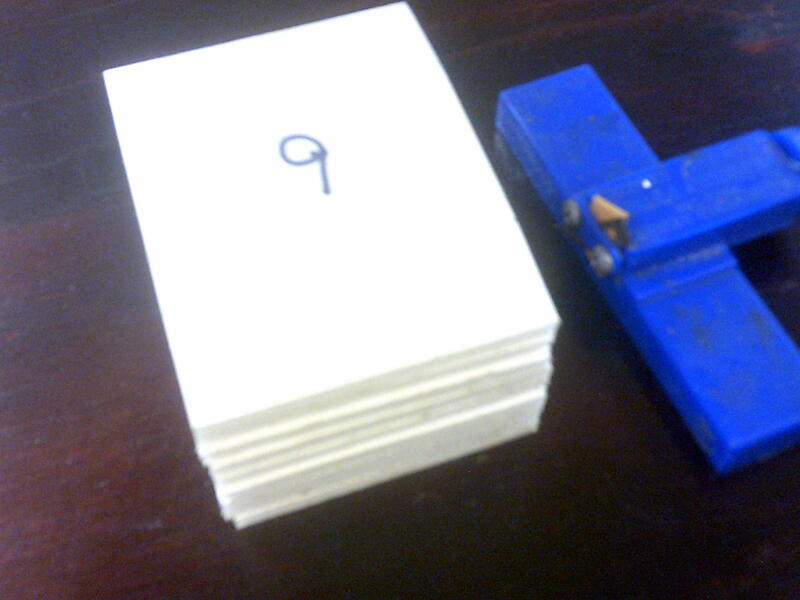 I use a "T" square and measure and mark out as many 64mm lengths along the 83mm wide FB strip. (DO NOT CUT YET). 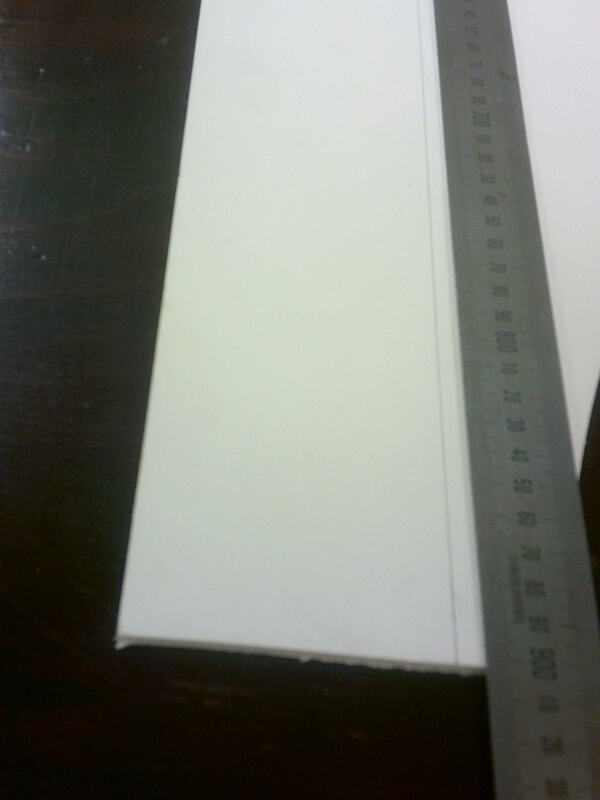 balsa stripper down each long edge of the 83mm wide strip, (Only on one face do not do both sides!!). channel for the A or B folds. 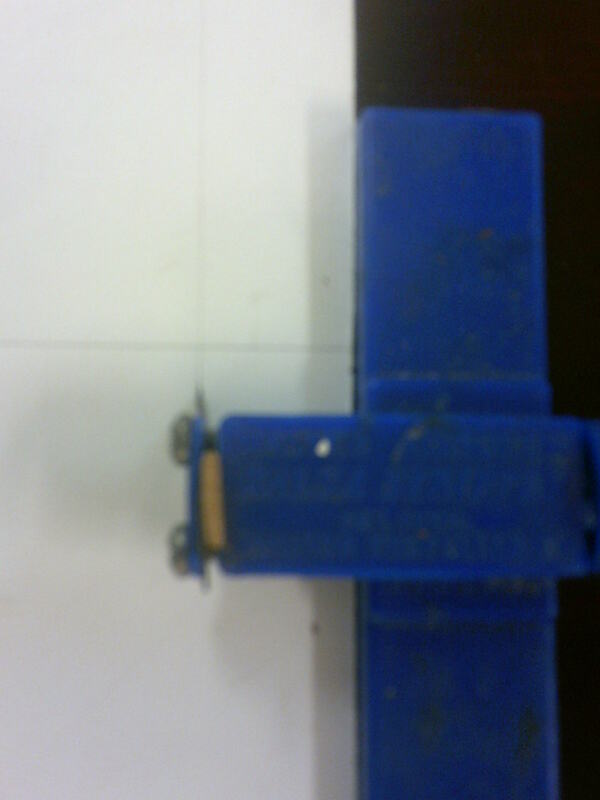 When the channel is cut I then alter the Balsa stripper to do 2 mm only. 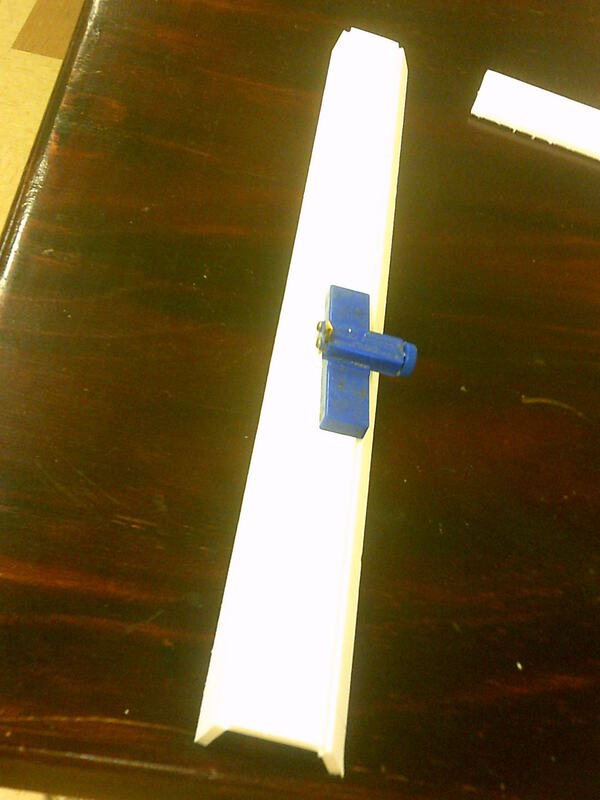 Now I cut the 2mm side thrust from a single 21mm side. With the A or B fold channels running from right to left I score the bottom 21mm side for a CCW PowerPod or the top 21mm side piece for a CW powerPod. This is done on the right hand end of the FB piece. 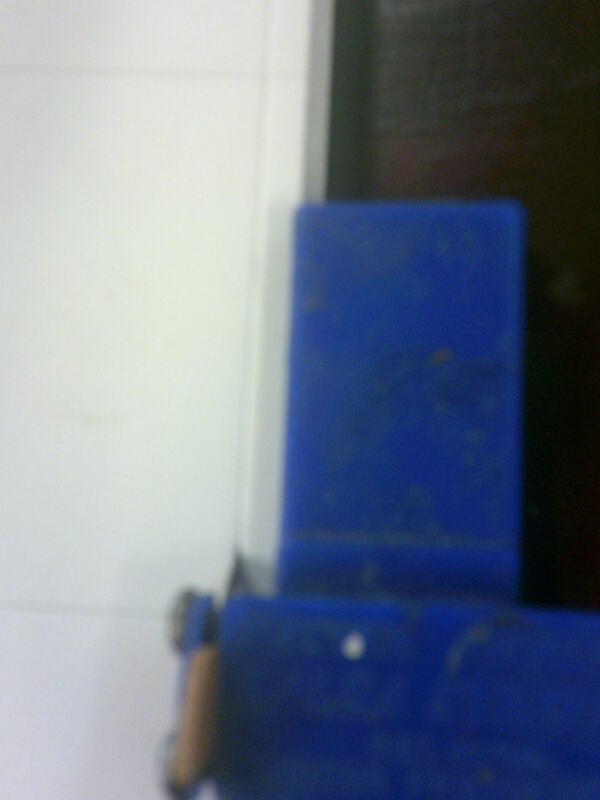 I then use a sharp knife to cut through the base piece along the line from the long 21mm side to the short 21mm side. 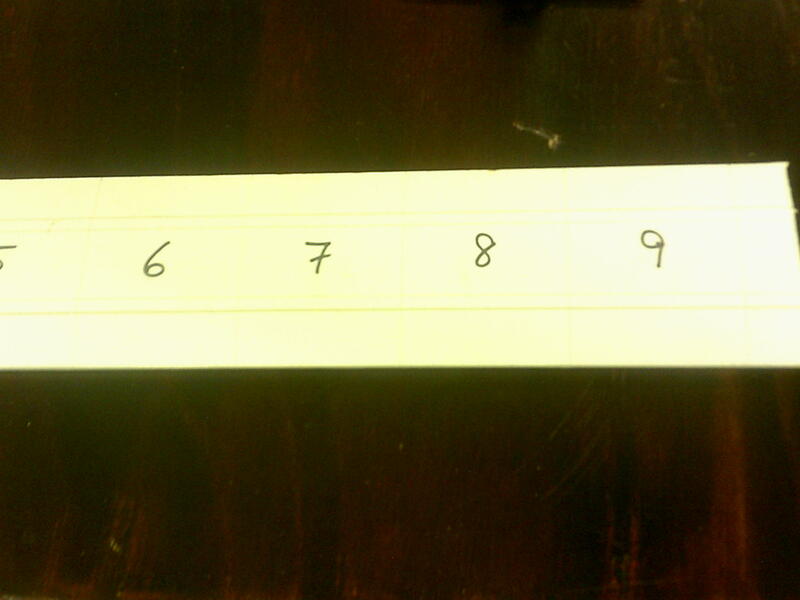 Just clear out the 5mm channels and it is ready to fold glue and fit the firewall. Sorry it took so long to complete this post but at this time of day the connection to FT from Aus slows to an absolute crawl and some of the pics required 30 minutes and many attempts to upload! 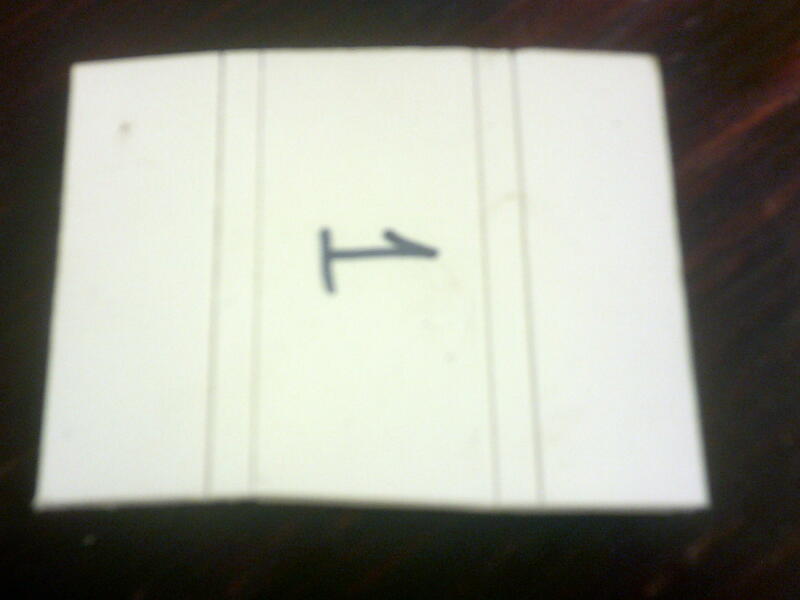 So much for modern tech and for my perceived reluctance to post photos normally! In the time it took to post this item I could have done at least another 50 PowerPods! @Hai-Lee Thank you! You rock brother, I know posting pictures is dicult for you. This is without a doubt going to save me time the next time I am going to create myself a set of spare power pods. You said you had an assembly line method and that is without a doubt, assembly line! That is awesome! I'd never heard of a "balsa stripper" before. That looks like a handy son of a gun. Your method could be accomplished with more measuring marking and cutting, but it's an assembly line! Set the thing, run it down the edge, and boom. Done. 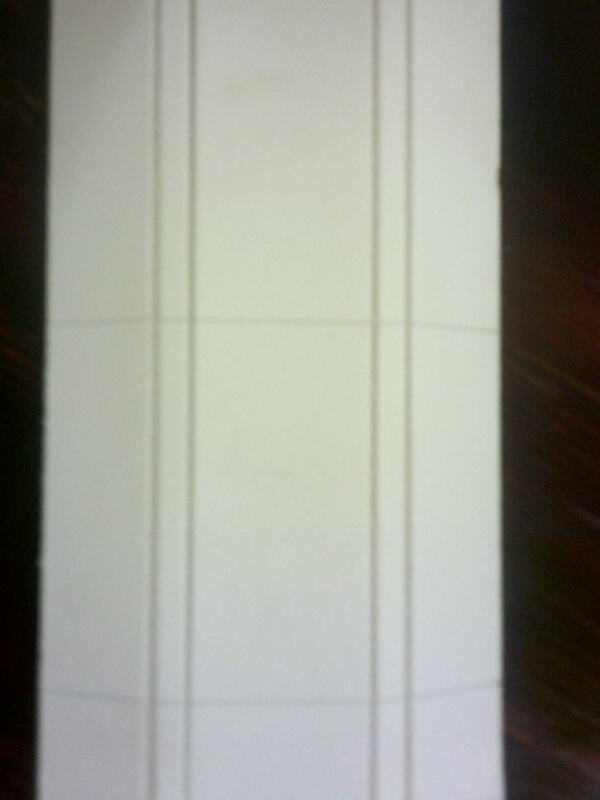 Cut the width of the pods from the length of foam, cut the 2mm bevel and boom. Done. Glue. Done. Hand wrought mass production. Thank you Mr. Hai-Lee-Henry-Ford! Sadly when you make and give away FT Minis You can become the only local source of parts. As the PowerPods suffer more than almost any other part you can imagine the number of PowerPods I would need to make in a year! At one time I was building powerpods every week and never seemed to get ahead. First I started using the balsa stripper, (which is also good at ripping FB wing spars evenly and quickly), to cut lots of the mini powerpods and later undertook to teach others to fly. Teaching them to fly reduced the need for the powerpods dramatically and now I only need around a dozen each month! That is less than one hour and all are quickly cut from FB scraps! A double win! Actually you may have missed the little bonus! 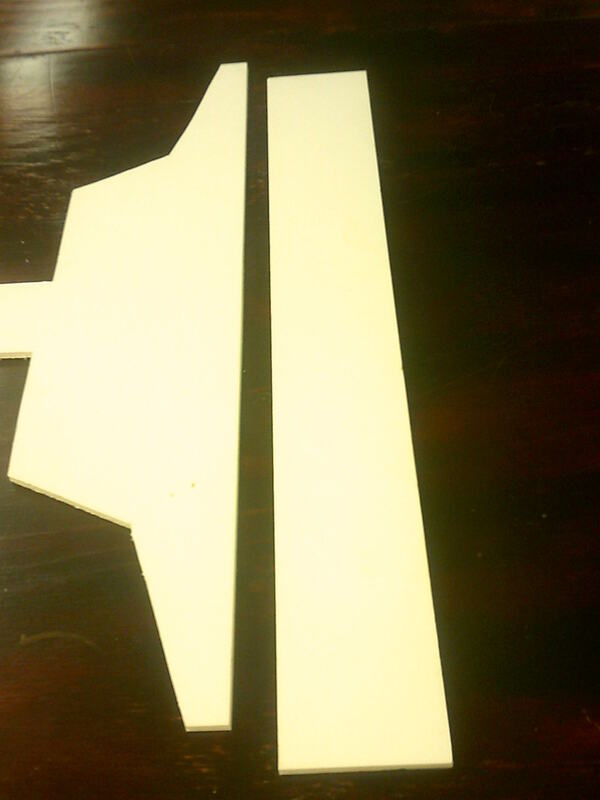 depending where you cut the 2mm you get either CW or CCW side thrust. A lot of posts have been posted in the past asking about using CW props or motors on a mini! Anyone reading this will suddenly find that the possible problem is solved! I normally paint the CW firewalls after fitting so that I can select the correct side thrust quickly, almost automatically! I hope you can use it if you ever need a quantity of powerpods. 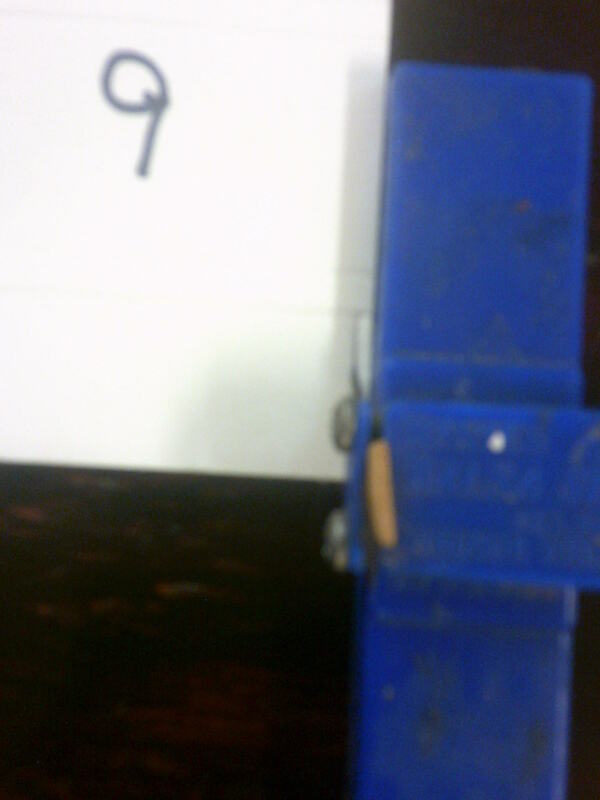 Remember the Balsa stripper can cut a strip of FB to any dimension upto around 20mm. It has many uses! At one time I was building powerpods every week and never seemed to get ahead. A little bit off topic. Not that I ever do that. Just how many RC pilots do you have in your area? I know of one local field, which seems unused, everywhere else is at least an hour away and I am the only one I know who is not on this forum, who flys RC. Our local club has around 25 members, some not that active, and a number of would be members, and interested visitors. New members are now supplied a new TT when they become insured financial members, (they fit their own electrics and radio, with some assistance/advice). The interested visitors also buddy box on various members transmitters and use various different planes to test fly. I use FT designs and point them to FT for information. A couple have actually joined the forum though I think they are still a little shy about posting their own achievements. I have been providing FB designs to the club membership for about 2 years now and maintain them as well, (not the electrics of course). Currently I have a club order to build 3 FT Viggens and am waiting on the plans offered as printed copies by a fellow club member! The field I use is around 1 to 2 Klms from where i reside and there are a few alternatives within 5Klms which we are endeavoring to make our own! Just the benefit of being a member of an active and determined to grow club centred on a safe and enjoyable hobby for all.